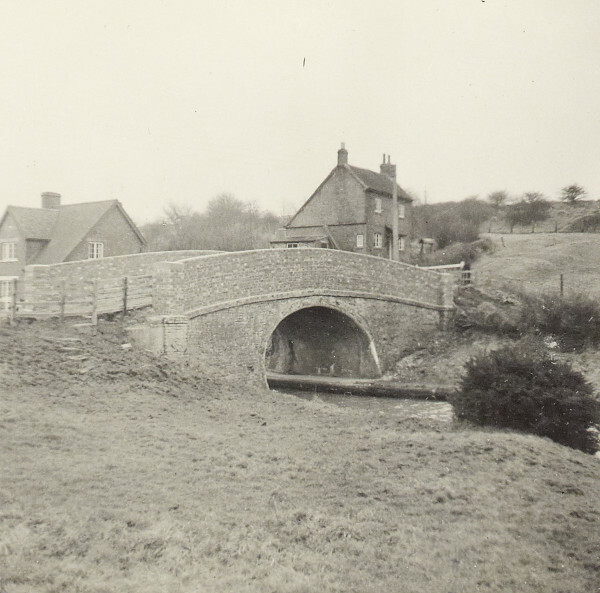 Black and white photograph showing a bridge on the Grand Union Canal in Braunston. Taken from one side of the canal facing the bridge, the canal can be seen towards the right of the photograph and there are houses behind the bridge. This photograph is on page 40 of the C N Hadlow photograph album.